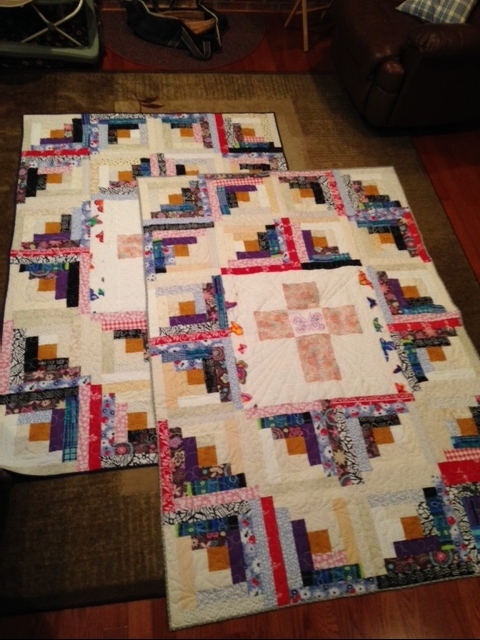 Memory Quilts are one of my favorite projects! I can incorporate tshirts, patches, bibs, ties, aprons, and most clothing you can bring to me in to a one-of-a-kind quilt. 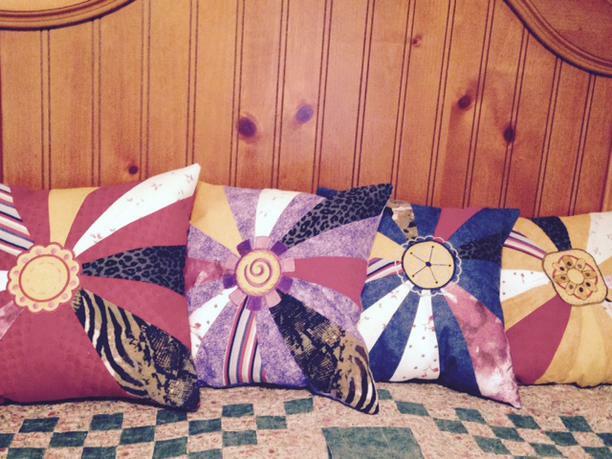 Below are some examples of quilts I have recently made for customers. 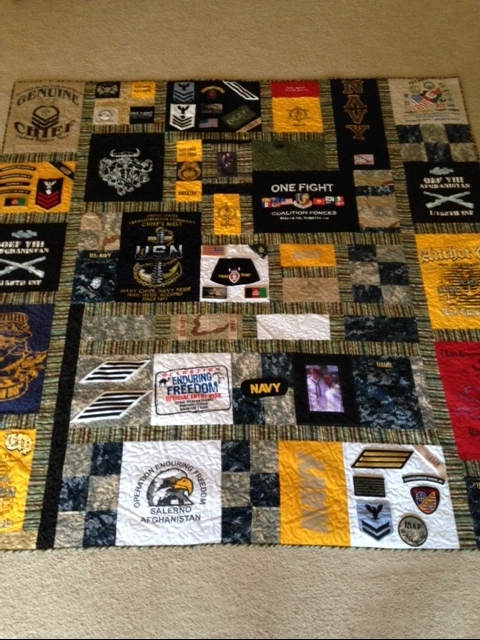 This quilt was made using patches, ties, uniforms, and lots of Dad's favorite shirts. 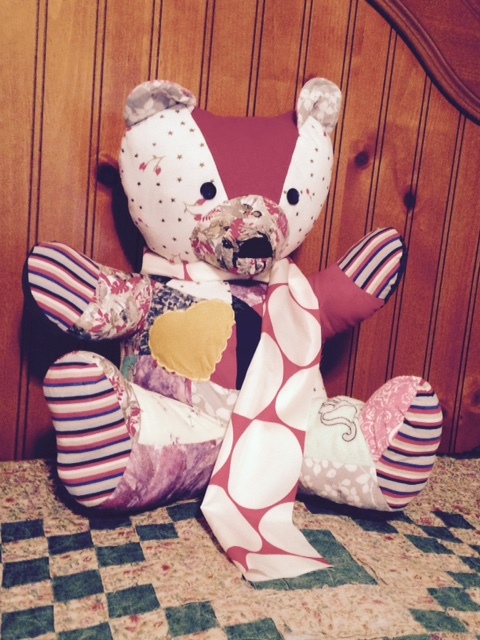 To the right: This picture shows two of three similar memory quilts made from Mom's clothing. Each quilt went to a sibling and has a little bit of Mom in each block. Left: This is a "Celebrate Life" quilt made for a purple heart recipient. This quilt was simply an honor to make for this family and included tshirts, uniforms, stripes, badges and even the rim of his favorite "Purple Heart" baseball hat! He is going to be so surprised when he sees this quilt!! MEMORY PILLOWS, BEARS AND MORE!! Memories can be preserved in many different ways. 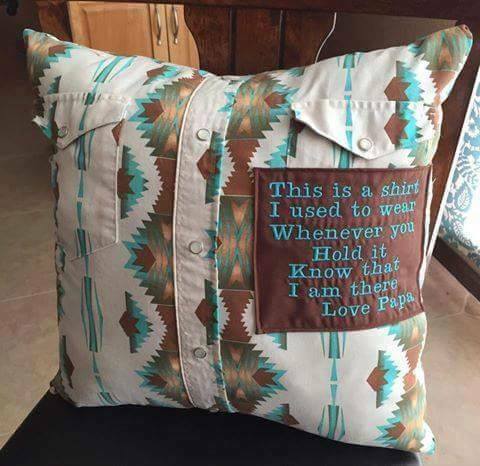 You can have pillows, teddy bears, and wall hangings made with just one or two precious shirts. This quilt was made out of 100s of Dad's ties!! This is just 4 of the 6 quilts made from Allen's shirts. Large throws. 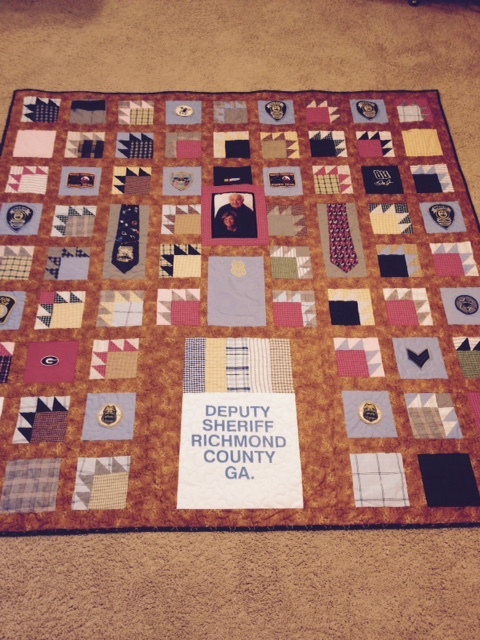 Each quilt has a little bit of every shirt in it, all are different, yet hold all those precious memories.